In general, though, the level of analysis related to the theological problem has been disproportionate to the attention given to the solution. In many ways, changing the theological direction of ministry to kids resembles the situation Martin Luther faced in medieval Catholicism. In both instances, people misunderstood salvation as a performance-based enterprise. They had a distorted understanding of God due to an absence of exposure to his Word. The five solas of the Reformation, then, offer this needed framework for the theological direction of youth ministry’s future. The Bible had little to no presence in the church of Luther’s day. Priests primarily distributed the sacraments. They weren’t trained to teach Scripture. An alarming number of medieval priests were illiterate. Laity had virtually no access to Scripture. Luther’s protest grew louder after he began studying Paul’s letters and realized that the predominant theology of the church contradicted the teaching of the Bible. All five solas of Luther’s movement flowed out of an emphasis on theology grounded in the study of Scripture. Kenda Creasy Dean aptly titled her national analysis of the spiritual state of teenagers Almost Christian. She found that teenagers’ religious beliefs didn’t resemble the message of Scripture. Perhaps the wisest move any church can make in their youth ministry is to emphasize Bible teaching and Bible reading. Kids will develop a worldview that resembles Scripture’s content only if they are constantly taught the Bible. Perhaps the wisest move any church can make in their youth ministry is to emphasize Bible teaching and Bible reading. And merely depending on the youth pastor to teach them is not enough. Parents and kids need tools and frequent encouragement to read Scripture on their own. As self-evident as it may sound, biblically accurate beliefs come only from Scripture-centered ministry and spirituality. The reigning soteriology of Luther’s day was works-based righteousness. People believed their moral performance and religious adherence determined their eternal status. While God may have provided grace to help, ultimately the onus fell on the individual to save himself or herself from God’s wrath. While the dynamics may differ slightly, American teenagers today possess essentially the same conceptual understanding of Christian salvation. According to the Sticky Faith project, students view Christianity as a “Jesus jacket,” a set of behaviors one puts on in various contexts. In the NSYR, kids believe good people go to heaven, that moral performance secures eternal salvation. Just as Luther proclaimed the Reformation’s—and ultimately the Bible’s—core message of justification by grace alone through faith alone, so must we wave that banner to youth today. Could there be a greater tragedy than a churched child believing their eternal destiny hinges on moral performance? Could we disrespect the cross of Christ more flagrantly? In medieval Catholicism, many believed salvation came through human effort and was mediated by the church’s priests. Luther pointed to Jesus as the sole object of faith and the sole mediator before God. Again, the NSYR revealed that kids view Christianity as similar to or the same as other world religions. They understand little of Christianity’s distinctiveness. The teaching and ministry of Christ demonstrates something utterly different about Christianity compared to other world religions. The faith itself claims that God himself came in the person of Jesus to save sinners. He is the atoning sacrifice for sins and the full revelation of all truth. For kids to have lasting faith in Jesus, they must truly know who Jesus is. They must have clarity on what makes him unlike any other religious figure or system. The culmination of all of the solas is that all glory in all matters belongs to God. His moral performance in Jesus alone atones for sins. The grace of God alone saves. The true gospel alone leads us to worship, gratitude, and humility for God’s generosity toward sinners. It leads us to a God-centered, God-focused view of life. The NSYR revealed an opposite attitude among kids. They see religion’s primary role as bolstering their self-esteem and promoting their happiness. Their understanding of Christianity leads them to deeper self-absorption and a less God-glorifying mindset. Reminding kids that they exist for God’s glory alone can help rescue them from this depressing complex of self-absorption. This exhortation, however, falls flat apart from the gospel. A God-centered life flows out of knowing and believing the grace of God in Christ. When we comprehend Christ’s exclusive responsibility in winning our salvation, we turn our hearts and minds toward him for a life committed to his kingdom and glory. 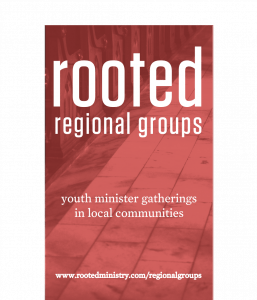 Youth ministry in 2018 needs reformation. Building a ministry on the foundation of the five solas is the right place to start.